For a long time, indie authors have talked enthusiastically about “repurposing content” – ie to recycle something already written in a different format, such as turning a blog into a self-published book, or vice versa – as a means of squeezing extra income out of the same piece of work. Turning books into online courses is the latest incarnation of repurposing content – and it’s a great tactic for authorpreneurs looking to run a more profitable author business – provided you do it well. 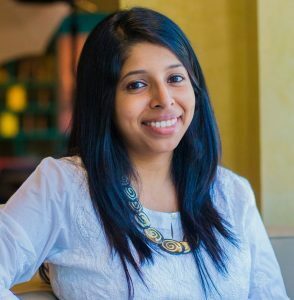 Jyotsna Ramachamdran, founder of ALLi Partner Happy Self Publishing explains why it’s worth turning a book into an online course, and how to do it well. With the online learning sector projected to generate over USD 100 billion in 2017, virtual education is in its prime. People feel a lot more comfortable spending money for educational purposes online than they once did, and online courses are helping to address the growing need for “just-in-time learning”. Why Create an Online Course from Your Book(s)? Focus on what you’re good at and use the content that you’ve already produced for your book(s). Chances are, with just a little bit of tweaking, you can easily create modules of educational content that can help teach your covetable skills to your audience. When creating your course, keep in mind that people are busy! Break down your modules into bite-size chunks for easy consumption. Consider opting for a course that’s five to ten modules long, with each module offering four to five videos. These videos should ideally be five to ten minutes long MAXIMUM, otherwise you’ll risk losing your audience’s attention altogether. Inserting an action point after each module is integral – worksheets, downloadables, checklists and other resources are all applicable here. These will keep people engaged, interested and coming back for more. It will also allow them to feel like they’re really getting something tangible out of your course. Online courses are a visual medium, so make use of visual media! For example, if you’re teaching viewers how to develop a website, download a screen recording software and SHOW them how to do it. This allows you to bring your audience with you along the way, step by step, and easily help them achieve their goals. You can publish courses in audio, PDF, e-mail or video format – or better yet, a combination of all of the above. Once you’re done planning out your online course, what resources are required? If you have a sizeable enough following, you can publish on your own website in order to keep 100% of the profits generated from its sale. However, many authors can use the exposure that a course marketplace such as Udemy, Skillshare or Courseware Marketplace can provide – just note that you’ll have to pay a commission to each of these marketplaces. Remember, you don’t need to be a top-level expert or author in order to create an online course. If you have a covetable skill, there’s an audience out there who will be hungry to learn from it. So work with what you’ve got! If you’ve written even just one book, you have enough content to rework into a course. OVER TO YOU If you’ve developed an online course and have top tips to share or questions to put to Jyotsna, please join the conversation via the comments box! This was a great article. Thank you so much!